United States President Barrack Obama has held his Twitter account for a few days now but he has already broken a Twitter World Record. The record is of the highest number of Twitter Followers gained in a short period after joining the social networking site. The record was previously held by Actor Robert Downey Jr. of the Avengers and Iron Man Fame. The @POTUS account was able to amass a record 1 million followers in five hours. Robert Downey was able to gain 1 million followers in a period of less than 24 hours after joining the Microblogging site. The @POTUS account now has 2.27 million followers and counting. On joining Twitter, President Obama sent out his first tweet using an iPhone despite being a famous user of a Blackberry device. It was later clarified that the device was borrowed from a staffer and that for security reasons, he continues to use the Blackberry. The first tweet was an acknowledgement of his presence on the network which the @WhiteHouse account verified with a retweet and quote to that effect. President Obama has been on Twitter using the @WhiteHouse and @BarrackObama accounts to send out updates. Both handles are however managed by staffers. President Obama heavily relied on social media platforms during the launch of his initial campaigns as well as when he sought re-election. 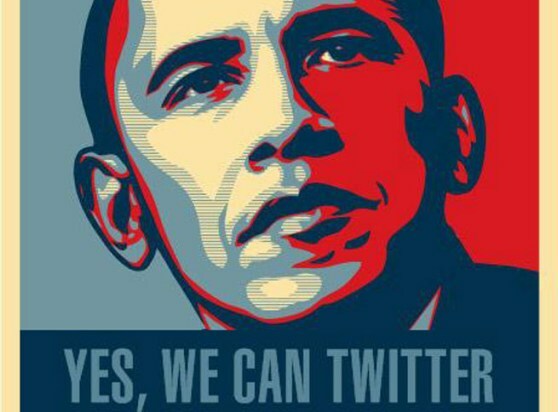 The new Twitter handle will send tweets exclusively from the US president. In its few days of existence, the account has been able to throw jabs at former US President Bill Clinton, who was one of the first people to welcome the President to the platform. President Obama also ranks highly among the most retweeted tweets with the “Four more years” tweet sent out in 2012 after he won a re-election ranking third as among the most retweeted ever.